Protestant Christianity began in the early 16th century as a reform movement directed against Roman Catholic doctrines and practices. Early leaders such as Martin Luther, Ulrich Zwingli, and John Calvin laid out the movement's foundational principles, including the conviction that salvation is by god's grace alone, that the Bible is the sole authority of faith and practice, and that the church is a "priesthood of all believers." Four distinct forms soon arose within Protestantism. Lutheranism would predominate in Germany, Scandinavia, and the Baltic countries. The Reformed churches included Presbyterians, Congregationalists, English-speaking Baptists, and a variety of ethnic Reformed churches in such countries as Switzerland, France, and the Netherlands. Among the radical extensions of the initial reforming movements were theocrats, spiritualists, anti-Trinitarians, and Anabaptists. And the Anglican church was established by England's Henry VIII in the wake of a dispute with the Catholic Church. The influential Puritan movement emerged around 1570 within the Anglican tradition. In the 17th century the Pietists objected to the increasingly doctrinaire character of contemporary Protestantism: they advocated a more intense and intimate relationship with God. In the 18th century, the Enlightenment invigorated interests in natural religion and in morality as the heart of religion; its objection to ceremonies, mystery and ecclesiastical authority formed much of the basis for modern liberal Protestantism. A Protestant evangelical revival (including Wesleyanism and the "great awakening") emphasized religious conversion, personal and social effort, renewed attention to the authority of the Bible, and a conviction that the doctrine of the atonement stands at the center of the Christian message. In the 19th and 20th centuries, Protestant Christianity spread world-wide. Ecumenical efforts have brought many groups into close working relationships and produced unions of churches, though disagreements continue. 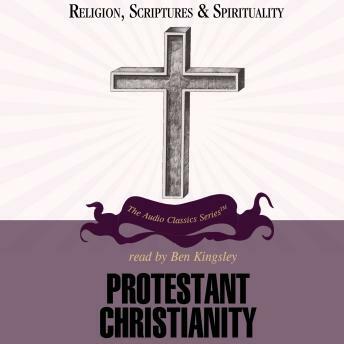 The term Protestantism thus has become a broad umbrella for a variety of beliefs and institutions that retain some connection with the past as they express renewed forms of religious vitality in the present.